Would you like to enjoy your stay in a friendly, warm and clean environment, with a family touch? We are glad to present you the B&B 830! Located in a perfect spot, closed to the centre of the city and the Railway station Termini and with public transport at your doorstep (20 meters to the underground station Porta-Furba Quadraro - 'A' Line Underground). Our B&B is very near Ciampino Airport where arrive many low-cost companies. Check our position on the map of Rome, we are in Via Tuscolana n° 830! Brand new and designed by a young Italian architect, B&B 830 is the right answer at your needs! 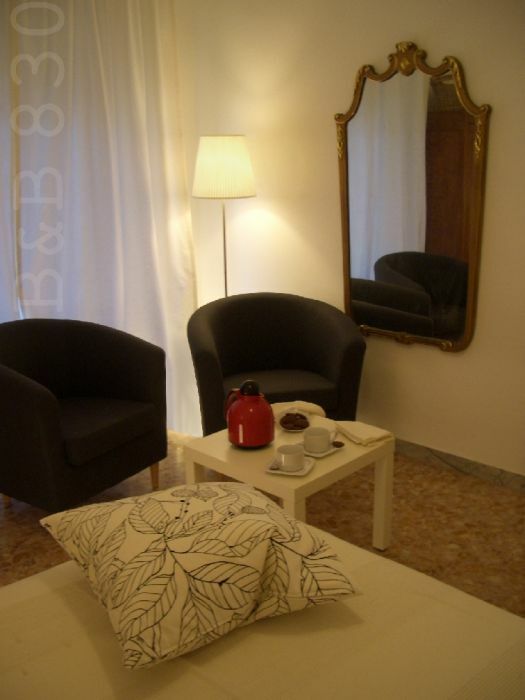 B&B 830, with its bright and comfortable rooms in vintage style with '50,'60 and '70 original furniture! The B&B 830 offers a high level of customer service and a great price/quality ratio. We have two large double rooms (20 squared meters) with queen bed and a large single room (15 square meters). The double rooms started from 60 to 80 € per night per room. The single room is 50 €. The rooms have a TV colour Lcd 21', a water boiler tea and an hairdryer. Near Bed & Breakfast 830 you will find every convenience. Close to the apartment you will find: bars, pubs, restaurants, 3 pharmacies (1 open 24h), supermarkets, 3 banks, 1 church, every kind of shops. 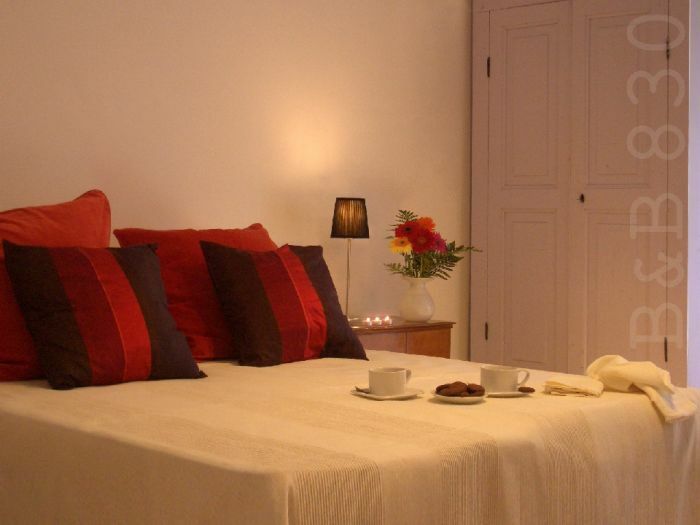 Two large double rooms (20 squared meters) with queen bed and a large single room (15 square meters). We have also triple rooms. Balconies Bidet Coffee/tea maker Linen change every 3 days Private bathroom Shared bathroom Television boiler flat screen TV hairdryer heating-ventilator informative material of the city. The subway is very near (30 metres), so you can move with the maximum convenience and speed, reaching easily Fiumicino's and Ciampino's airports, the Termini station and the beautiful monuments of Rome. 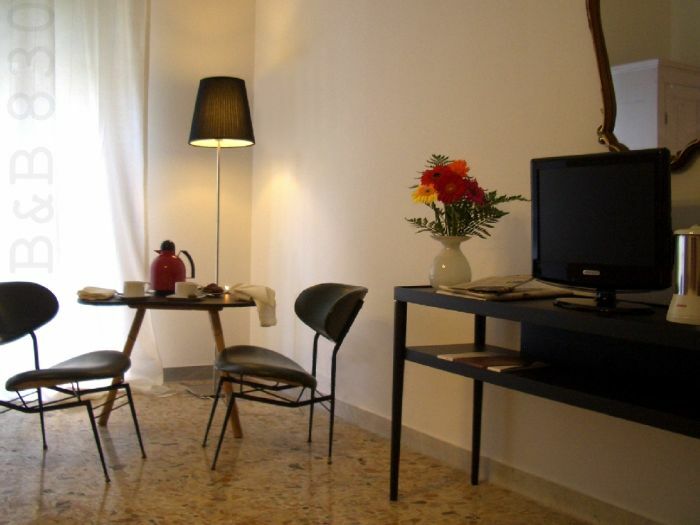 The B&B 830 is 20 meters to the underground station Porta-Furba Quadraro - 'A' Line subway.